Episode 26 of the MAWPCAST 1 Radio Program. On this show we play music from the greater Tacoma region and talk about things. It's a simple format! If you would like to subscribe to the feed or download the podcast you can find us here on iTunes Apple Podcasts! "Said + Done" Ring, 7"
The show returns after a week long Spring Break hiatus. We had every intention of retooling and improving the show during this time and didn't. But the show is better than ever and we couldn't e happier. This week we discuss a lot of films like Captain Marvel, In to the Spider-verse, Mary Poppins Returns, and the Motley Crue propaganda film, "The Dirt". We probably talk about some other things too, but you don't want everything spoon fed to you and have all the surprises spoiled... So you will just have to listen and find out for yourself. "Cecelia" The Baby Knockers, Pin-Up Girl 7"
This week we discuss surviving the great Blizzard of 2019 and reckless youthful misadventures. There is some mention of Dune and the new big blockbuster Hollywood movie currently in production. We talk about mastering a little... And some other random topics... and as always we play a ton of swell music from the greater Pierce county area. In this thrilling episode of the MAWPCAST 1 Radio Program the guys discuss dogs in the snow and a Corey Seager Rookie card... Having colds... Celebrity Big Brother and the Stanford Prison Experiment... Which weed is more potent, Sativa or Indica? And we answer the age old question... Why eating yellow snow is bad. And as always we also play some music. Lots of great music. If you would like to learn more about the Stanford Prison Experiment, you check can check out their website. An enthralling look in to the majestic sonic landscape of local music in the greater Tacoma area. Who are you to resist it? More local music from the greater Tacoma/Pierce County area for your listening enjoyment. On this weeks exciting episode we talk about cameras breaking, Metallica, Pokemon, Survivor and play some great local music from Tacoma and the greater Pierce County area. If you are reading this description you are the kind of person we dig! If you enjoy our programs share them with friends! "Granny's Pad" The Viceroys, 7"
We are back with more sensational sounds from the South Puget Sound. Be sure to check out our previous episodes! If you enjoy the program or want to help in any way, the easiest way to show your support and appreciation is by liking the episode, subscribing to our channels, podcast feed or social media, and sharing the shows with people you feel may enjoy the music also! Thanks. 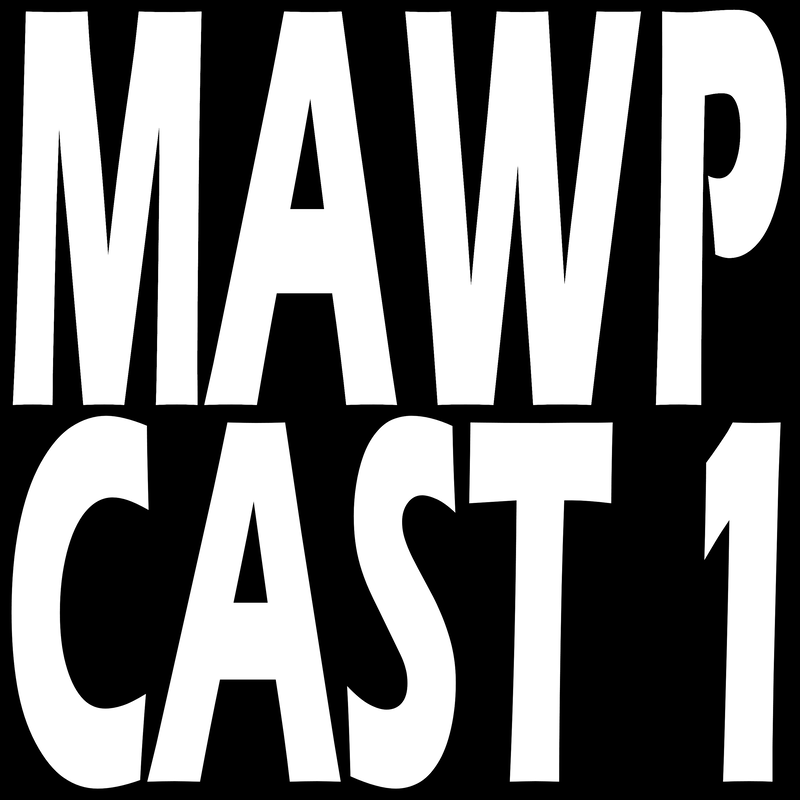 MAWP Tacoma presents: MAWPCAST 1 Radio Program Episode 2: Things Are Tough All Over. In this episode Sound Man Chris from Louie G's in Fife stops in to listen to some songs and chat for a while. A few of the things that Potter says that are not true include, but are not limited to; incorrectly calling a Mirrorgloss song "Sense & Sensitivity" when it is clearly titled "Sense & INSANITY"... Calling the band Locomotive, "locomotion" and stating that the Big Wheel Stunt Show album Draygun Raygun was due out soon when it in fact released last December. You can find it right here.